The Walt Disney Company has become one of the largest conglomerates with multiple tasks in different business ventures. Recently, Disney finalized a $71 billion ownership of 21st Century Fox. Now with plans to launch their streaming service, Disney+, later this year, the company continues to quickly expand its economic value. Disney CEO Bob Iger is set to speak at the upcoming investor presentation on April 11 to reveal more information about their streaming service. The company hasn’t publicized how much the service will cost nor did they announce a specific date for Disney+ to become available. However, they did share what contents will be available to stream. With Disney having a large stake in the Marvel Cinematic Universe, they are able to produce spin-offs for many of the characters shown on screen. A Falcon-Winter Soldier series is currently in the works along with a Scarlet-Vision series as well. The service will also delve into the story of the iconic villain and step-brother of Thor, Loki. Tom Hiddleston will reprise his role as Loki, however, not much information was shared as to what he would be doing. Today, fans were treated to something special when Disney+ announced a Monsters, Inc. spin-off animated series titled Monsters at Work. The show will bring back the original voice cast for most of the characters. Billy Crystal and John Goodman will return in their respective roles as Mike Wazowski and Sulley. 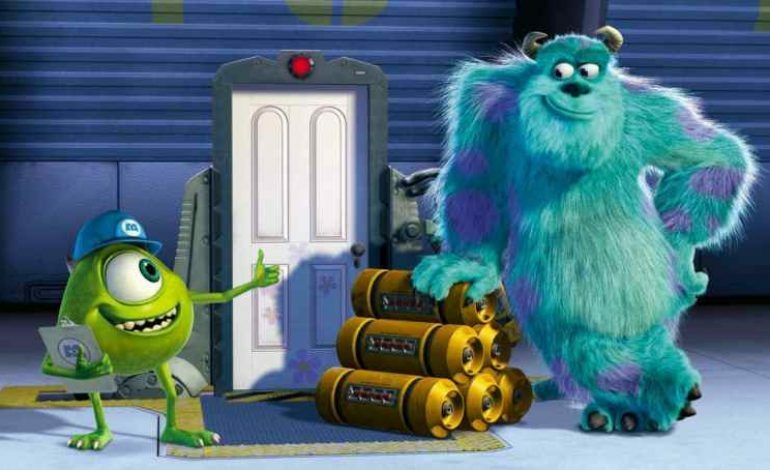 In the original movie, Monsters Inc., the power plant that Mike and Sulley worked at used a scaring tactic to deliver children’s screams. The screams would then fuel the entire city of Monstropolis. For years, this was the only way the factory operated until Mike and Sulley discovered that children’s laughter provided more energy than screams. Thus, the monsters then found ways to make children laugh. Monsters at Work takes place six months after the events of Monsters, Inc. The series will follow mechanic, Tylor Tuskmon (Ben Feldman), as he tries to follow in the footsteps of his idols Mike and Sulley. While working on the Monsters, Inc. Facilities Team, Tuskmon wants nothing more than to become a Jokester on the Laugh Floor. Monsters at Work will debut in 2020.